Office Address 11691 Fall Creek Rd. Integra Insurance Services is located in Indianapolis, Indiana. We work with clients throughout Indianapolis and the surrounding communities. With Tom Merritt’s experience in insurance sales and management, we strive to build a strong, lasting relationship with our clients and our goal is to serve each client by helping them to better protect their assets. We do this by providing an increased understanding and awareness of their overall insurance needs. 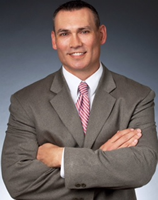 We are pleased to announce that in March, 2014 Tom Merritt joined Integra Insurance Services as an Integra Partner Agent. His new partnership with Integra will allow him to offer you improved coverages and more options to meet your family’s insurance needs. We offer a full line of insurance products including Personal Auto, Homeowners, RV, Watercraft, Motorcycle, Commercial/Business Insurance, and Life and Health Insurance. As an Integra Partner Agent, we are able to offer you, the insured, more coverage options and better premiums from a number of different carriers. We look forward to building a strong and lasting relationship with you, and we will work hard to provide you the best coverage, at the best available price, throughout our relationship. Integra Insurance Services, formerly known as Huntington Insurance Agency, is a multi-location independent insurance agency headquartered in Huntington, Indiana. Tracing our roots back to 1947 and under current ownership since 1983, we made a strategic decision to become a regional insurance firm in 1998, and during this transition the name of the agency was changed to Integra Insurance Services to better reflect our cornerstone principle to "Do the Right Thing". All Integra Partner Agents strive to do the best we can for our customers in every way possible. WEBSITE DEVELOPMENT BY EZLynx® • MERRITT - INTEGRA INSURANCE SERVICES COPYRIGHT © .